Jarrod Harvey has been competing in triathlons since the age of 12. Jarrod is a 3 time Australian Triathlon representative, 3 times Ironman and Kona finisher and also teaches HPE in his “spare time”. 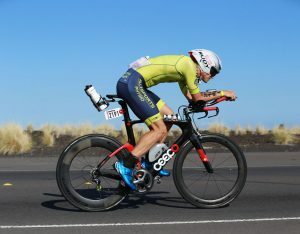 Jarrod has been practising Pilates with Q Pilates over the past few years and has been reaping the benefits of his hard work on both training longevity and triathlon results. Here, we have asked Jarrod a few questions about his Pilates journey and how it has benefited him in his sport. You’ve been a big-time client with Allsports Physiotherapy for a number of years now. What prompted you to add Q Pilates to your training regime? I started doing Pilates on the advice from my physio Cameron. The root cause of my injuries was basically poor glute activation so Pilates become a regular part of my rehabilitation and prevention program and still is today. 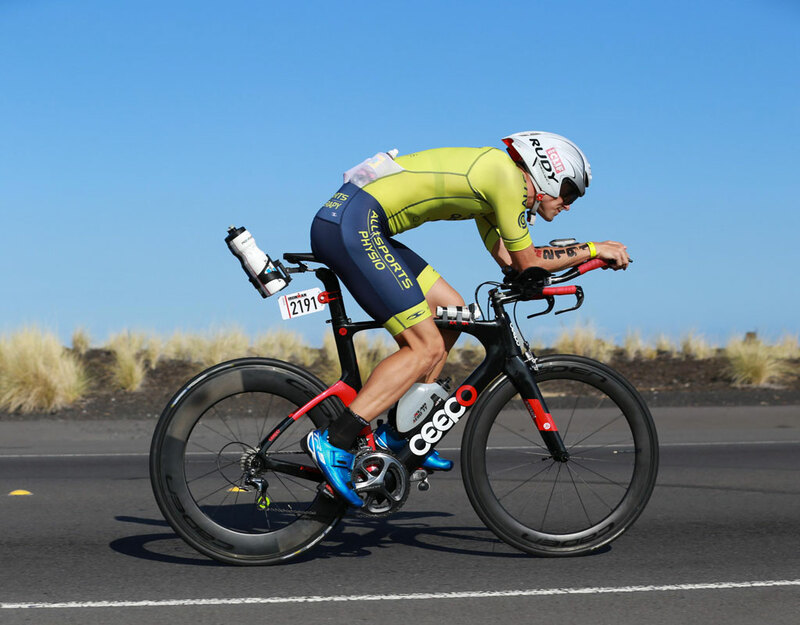 Just last year you undertook the KONA Iron Man World Championships in Hawaii and had great success? What role did Pilates play in your preparation for this major event? How did you place in the event, and will you be headed back this year? Yeah, I went over to Kona and had a pretty good day. I managed to come away with 11th in my age group which was well above my expectations. Pilates was key as it allowed me to be injury free, which, in a sport like Triathlon can be very hard to do. The body can really take a hammering at times and being able to train consistently was the key to my success. I am headed back to the ‘Big Island’ again this year and hoping to go better again. How does Pilates continue to fit into your weekly training? It’s a session which I try to schedule every week. The ability of a one hour Pilates session to work my glutes and core harder than any swim, bike or run session is proof that I am still working on those weaknesses. Do you think as an elite athlete, you were surprised at the benefits you reaped from Clinical Pilates? In what way did it exceed your expectations? 100% I was. I had always heard that it was a good idea and great for injury prevention, however having now been a participant the proof is in the pudding. Prior to doing Pilates the longest, I trained without injury was about 4 months. Since starting, I haven’t had a serious injury yet… touchwood. How has pilates assisted in injury management? It’s pretty strange but I have become so much more aware of my body and when it needs a little tune-up. Previously, I would have just kept smashing away, but nowadays it’s a sign I need to do some of the exercises a little more, both in the studio and at home. Would you encourage other athletes that you train with a coach to incorporate Pilates into their training? Of course! At least once a fortnight it is something which I try to encourage my athletes to do. We all want good performances and sometimes it’s the activities we do after/before training which can provide you with the biggest long term rewards.